Haran (Aspidistra eliator): growing, planting, caring. 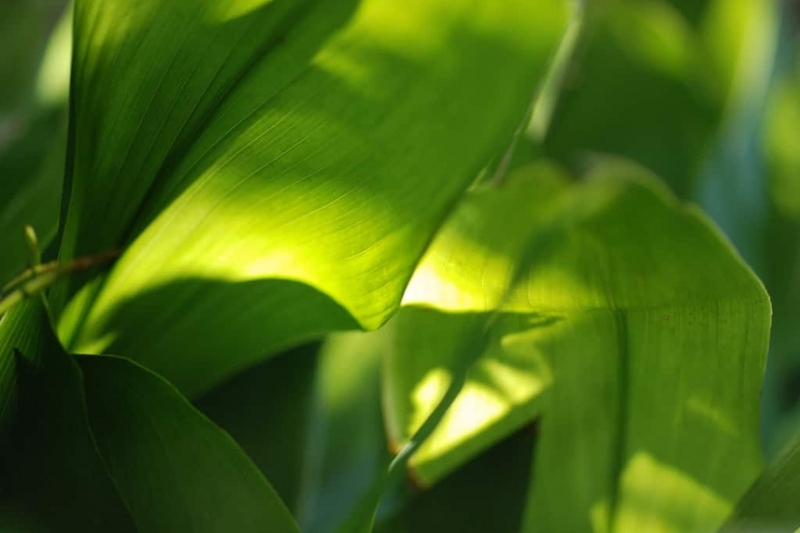 Brought back from Japan in the 19th century, Aspidistra is one of the first plants to have populated the cold greenhouses of Europe. Its robust and large persistent leaves are appreciated. Species of Aspidistra are perennial herbaceous plants growing from rhizomes. The leaves are either solitary or are grouped in small "tufts" of two to four. They should preferably be planted in the light, obviously out of direct sunlight, no stagnant water, but regular intakes. Flowering is rare for plants grown indoors. After the purchase, check if the pot is big enough - if the leaves go past the brim, this is a sign. transplant without delay in a more suitable pot filled with fibrous compost. Scrape the soil a bit around the roots during the operation. Water, especially if your potting soil came out of the bag and was all dry. When watering, do not leave water in the saucer, it may asphyxiate the roots. If you notice that the earth is retracting, consider watering a little more often. In contrast if the leaves turn yellow, it is often that watering is too common! During the growth period (spring, summer), the watering should be regular - about twice a week - but measured in order not to asphyxiate the roots of the plant. In the fall, gently space the waterings until winter when a simple input of water twice a month should suffice. At the end of winter every 2 years, repot your plant in a slightly larger pot, adding compost. Plant with rhizomes, the aspidistra is easily divided by division. For example, when potting, separate some outer rhizomes from the mother plant, and replant them separately in another pot. Water more regularly these newly moved rhizomes during the first weeks. You put outside in summer your Aspidistra, but avoid him a shock. So no full sun or drafts, otherwise it will dry! Aspidistra is quite sturdy. Outside, slugs and snails appreciate its leaves, but inside except for some red spiders or sometimes mealybugs, it is rarely attacked.